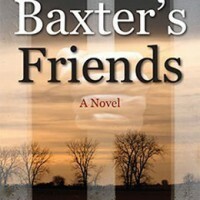 Shows real promise... Baxter’s Friends left me hoping Randle spends more time at a keyboard than he does in a courtroom. Read more. Ned Randle’s poetry collection Running at Night often touches upon the most humdrum aspects of life, and yet somehow Randle always manages to communicate the sheer beauty and wealth of possibilities... Read more. When we read through Running at Night, we are reminded that while we all feel each and every one of these illustrious emotions, it is still a gift to know how to pull forth the... Read more. Running at Night …is a courageous book of witnessing. It takes the reader through dark paths on fast foot. The poems are written with a sure hand, the images right... Read more. In recognizably American fashion, [Randle's poems] reach from the ground on which he lives to dreams earned and known. Read more. Copyright © 2013 Ned Randle. All rights reserved.